2 1/2 oz. 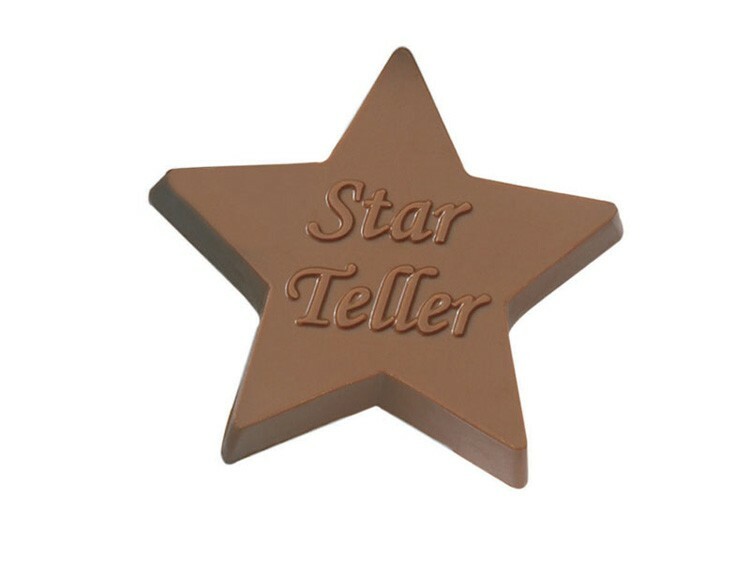 star shape molded chocolate in gift box. Choose between creamy milk or dark chocolate and select a gold or silver box to finish the gift. The chocolate shape can also be wrapped in foil. Chocolate can be fashioned into any cutout shape. Dimensions: 5 1/8" x 5 1/8".